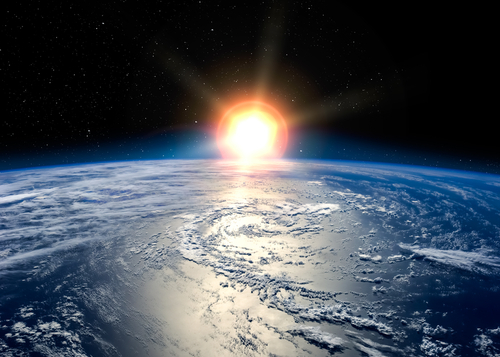 The sun is entering perhaps one of the deepest Solar Minima in thousands of years. Sunspots have been absent for most of 2018. This is really alarming. Since the start of 2018, there have been totally spotless days for weeks. The sun’s ultraviolet output has sharply declined and this is not going to end well. 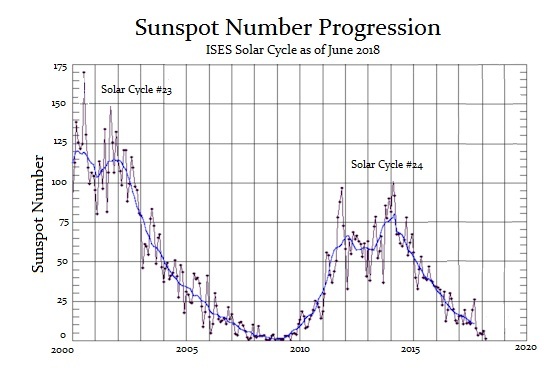 We can see that this decline in Solar Cycle #24 has been a rapid decline that is twice as fast than any previously. Already the the upper atmosphere is losing heat energy. NASA has conceded that if the current trend continues, this could become a dramatic cold period far worse than many people suspect. The Global Warming crowd is leading the world down a dangerous path because they have been paid $1 billion to create fake research in order to raise taxes as they have been doing in Europe and Canada. Our computer us projecting a very serious decline in sunspot activity. This will be the backdrop to the rise in agricultural prices we see between 2020 and 2024. Of course, thanks to the Global Warming people, it will be too late to prepare. « Katla Building to a Major Event?